A bit overpriced if you ax me. Didn't find the auction. How much? Where is the bridge!! Funny though only $9,000 and you get one picture of the bass! Agree where is the Bridge? Sorry? I thank you. Dare I say I’d rather have those clothes than the bass. Back to the topic at hand, this is a 66 Hofner however there is only one picture and as noted it's missing a bridge. Lots of documentation on Sir Paul playing this bass but very little on how they confirmed it's a 66 Hofner or no documentation on if it is playable (if a bridge were added) or if there are any other issues. Lastly Auction Houses are legitimate scammers, be careful of any other charges. They have alot of hidden fees. back at an Auction house for a much higher price. I guess I have a hard time wrapping my thoughts around the fact that this is a rental bass that, yes, Paul "touched" several times in his career, but didn't own... At a starting point of $7500, is this bass REALLY a part of Paul's history, and therefor, worth $7500-to$50,000? If it’s a ‘66, he couldn’t gave played it much, given that he died that year. Thats right..... John buried Paul. 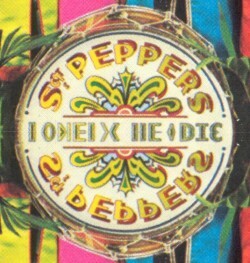 My favorite was in St Peppers Lonely Hearts Club Band it was said that if you took a mirror and placed in the center of "Hearts" the way the fonts was it would appear as HE(diamond shape)DIE with the Diamond pointing directly to Paul. That's ridiculous. How many basses did Paul rent or touch or look at in the past 50 years? INHO his doesn't count as a McCartney bass at all. At least the auctioneers are upfront with the connection.